Homeless in Kilis; an influx from Syria. Kilis, Turkey has recently received a vast influx of Syrians seeking safety after recent bombardments of Aleppo. A mother cries with her children as they stand with their few belongings wondering where they can go. On any given evening you can find a lady crying on the cold streets of Kilis with her children with a heartbreaking story of survival and loss to tell you. Kilis refugee camp is full, and there is no other place for Syrians to go. They are finding themselves on the streets with nowhere to go, many finding themselves with no place to pay their heads but on the streets of Kilis. 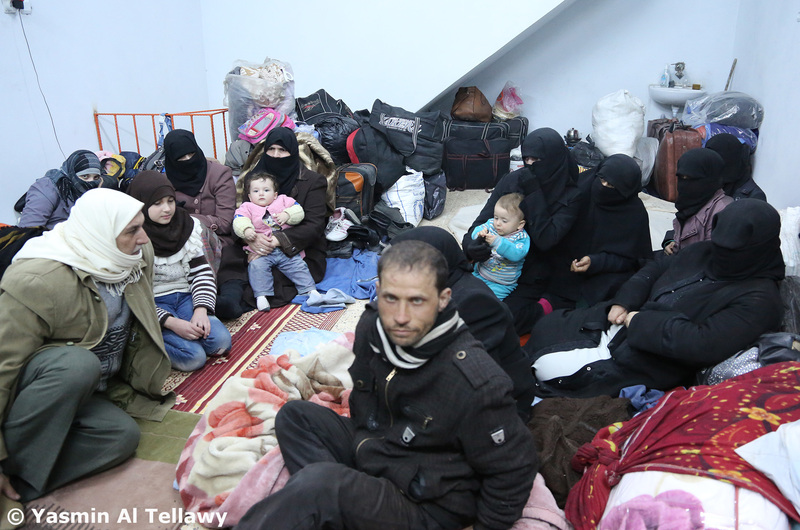 Syrians are huddled into empty shops, abandoned garages, and anywhere else they can go. Each evening you can find an abundance of Syrians sleeping in the bus station, while day-by-day they are constantly passing through trying to find a place to go. 1000’s of Syrians have entered Kilis in the past week, and the constant stream of people needing assistance certainly has no end in sight. Around 50 Syrians crowd into this small space together to call this abandoned shop home for now. Huddled together for warmth in an empty shop with over 50 people sleeping tightly packed together a young man shares with us his struggles, he has children to feed, along with his wife, and parents to care for. Even thought he is well educated he is unable to find a place to rent at a cheap price and more importantly work; the common tale for Syrians in neighbouring countries. A woman assists her husband who is an amputee due to complications with diabetes to use the toilet; where is the toilet? It is a small bucket in the open public amongst Syrians outside of the local bus station; they no longer have the opportunity to even keep their dignity. Her husband has no insulin left and they are left with the streets to sleep trying to find a way to go to Istanbul where they hope for a better life. 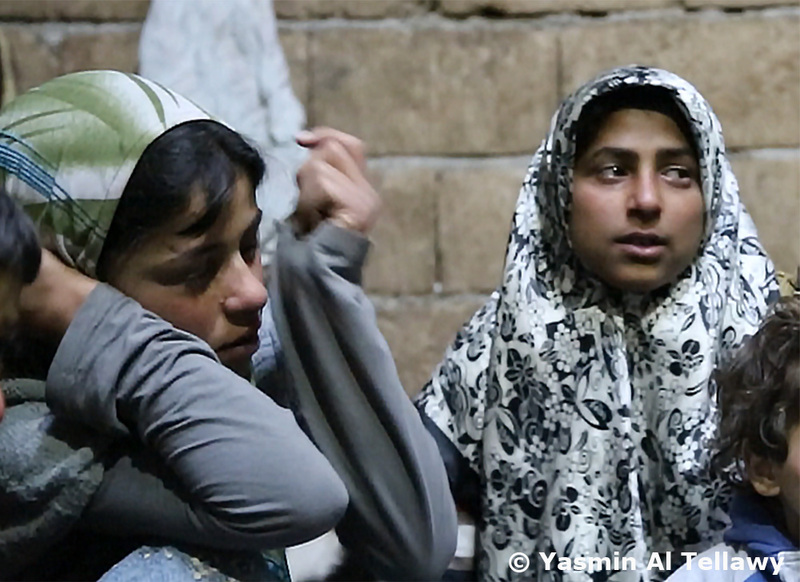 Young girls cry as they share their pains from their suffering and loss in Syria. Aa a young girl cries, she tells me just one simple sentence as she struggles to get her words out from her tears, “I just want us to be one again in Syria”, she continues to share how she misses her father and older sister who has been missing for 2 months now & they have no idea where she is. Such simple words she shares with such an impact, a girl of just 14 years old, years ahead in maturity, like many children from Syria now, and a simple message of hope for us to be one in our world. Her tears are an overwhelming abundance of pain. There are few children from Syria who are not holding pain in the hearts nowadays. Syrians entering Turkey from Bab Al Salam border crossing as the sounds of gunfire echo in the air. Standing at Bab Al Salam border, or in Kilis refugee camp you can often hear the fighting a short distance away, a sound that no longer makes children shudder in fear, a sound they are much accustomed to at this stage. The only question I seem to get is where is the help for them they hear about so often in the media? Where is all of the money? Where is the UN? A long list of the same questions I have had thrown my way for the past 2 years now. I sadly have no answers for them as I am unable to find a UN presence offering hands on assistance past wanting to gather the stories of tragedy for their records, there is a great lack of support for the Syrians who have recently fled Syria, I can only find local collections of people trying to help, and my own organisation now trying to offer what assistance we can. 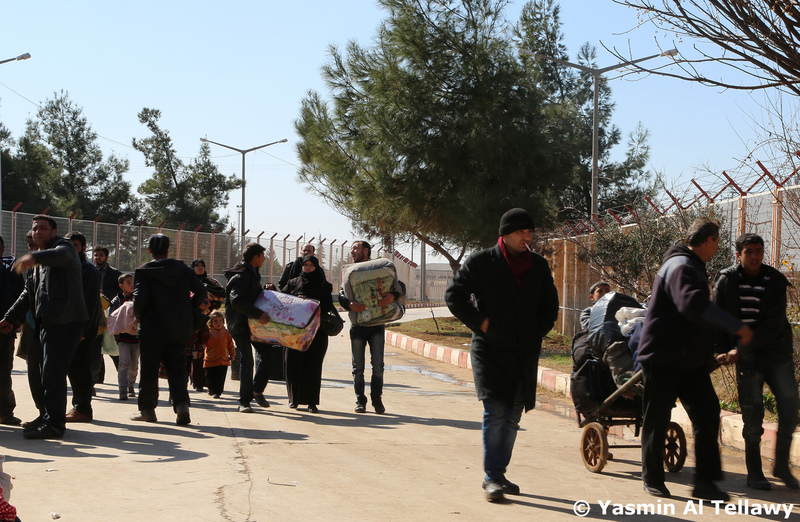 Thousands have entered Turkey through Bab Al Salam in the past week, with thousands more having had to take dangerous, illegal crossings as they do not hold passports & they recently stopped allowing Syrians to enter without passports. I found an elderly lady crying in the streets of Kilis with her hand badly cut open and clothing torn after a dangerous and scary journey for her, she injured herself on the barbed wire leaving Syria. She cried saying she had done nothing wrong, her home was destroyed and she had nowhere to go, what can she do. There is no sight to an end to the war in Syria, a minimum of around 6000 people are leaving Syria daily, many with nowhere to go and millions displaced. 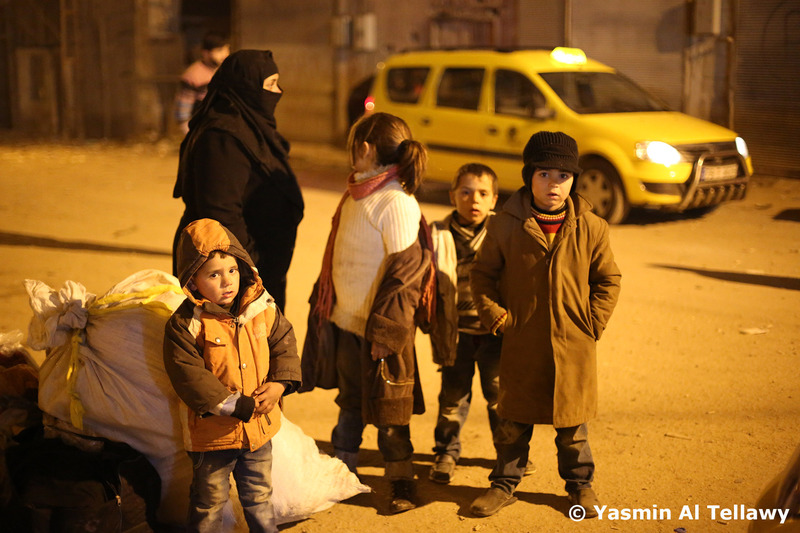 I cannot quite describe what it feels like to see people starving, cold, scared and with no security in any way. It leaves me sleepless, it leaves me with guilt, it leaves me to only wonder what on earth is happening in our world and why are we 3 years into a war in Syria, nearly half of the country having fled for assistance elsewhere, and countless dead. How on earth is this possible. I don’t meet any Syrian in Kilis who has just crossed without a terrible sadness to share with me, they just lost their child, their wife, their husband, all so fresh and without time to even heal from their pains as they have to instantly struggle for survival on the streets of Kilis. Homeless in Kilis. 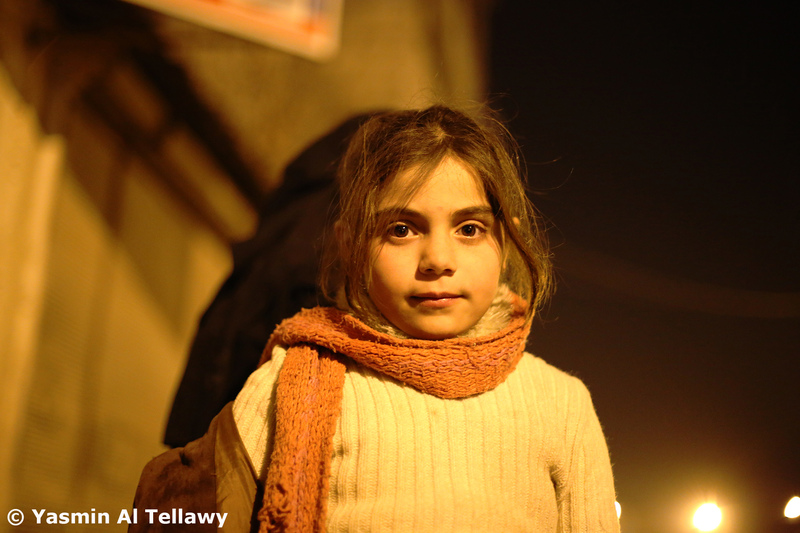 A young Syrian girl finds herself on the streets of Kilis having recently left Syria. 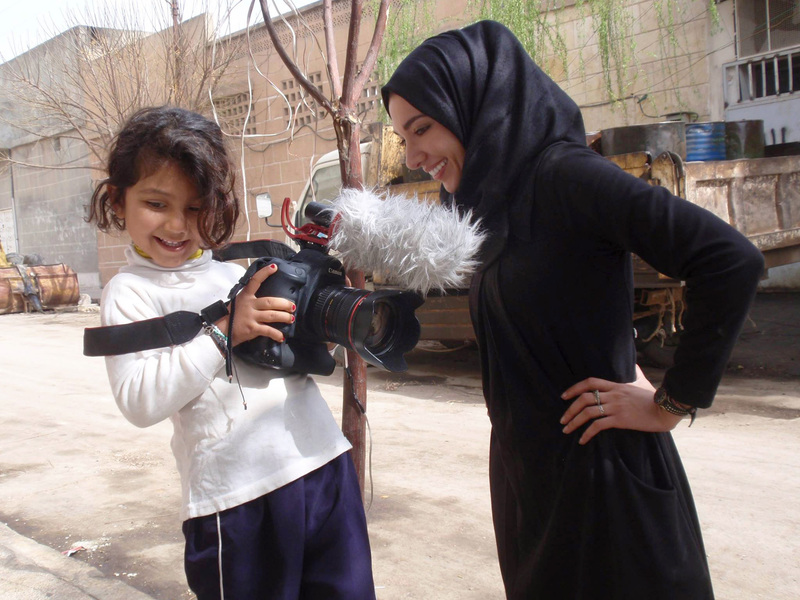 From the young children to the elderly, every soul of Syria has their story and every story matters in our world. Every soul matters in our world. These people coming to Kilis right now, and across every border are the people who matter, the civilians, those who are important and forgotten often in war. Please think of the people. Nobody should be homeless in our world; a world of such vast resources, grandeur and wealth that doesn’t seem to hold equality. Remember humanity in our world. Please.